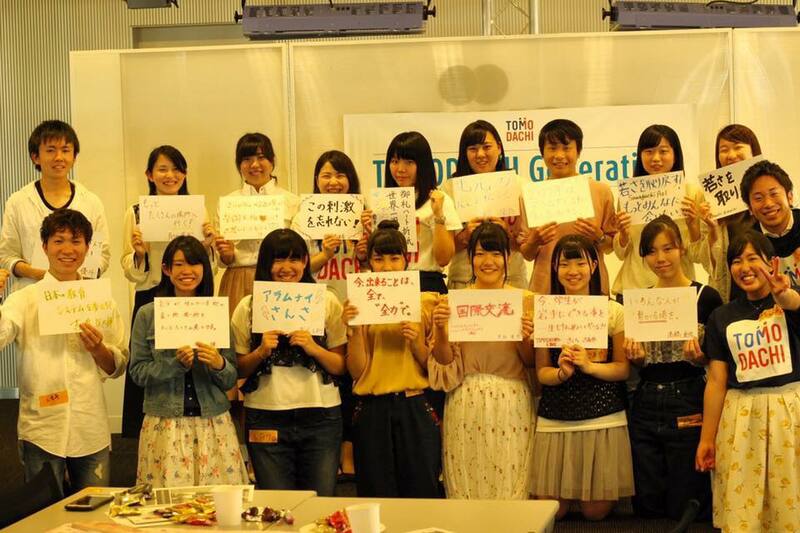 BECOME A TOMODACHI ALUMNI REGIONAL LEADER! The TOMODACHI Generation Regional Framework will change the dynamics of alumni engagement by furthering opportunities for alumni to connect, empower, and inspire one another in their respective regions. We heard your request for a framework that would not only connect you to each other but also provide you with opportunities to design your own events, learn about project management, financial planning, marketing and use of social media, networking skills, presentation skills, mentorship and applied leadership by hands-on training throughout the year to grow into a stronger, more confident leader to catalyze your communities. As a member of the TOMODACHI Generation, you have received many opportunities to learn and grow. Now, this is your time to give back and show your community what you have learned through TOMODACHI. This initiative is one of the signature programs under the TOMODACHI Alumni Leadership Program supported by The Prudential Foundation. In each of the seven regions, there is a three-person team comprised of: 1) Regional Leader (college student), 2) Deputy Regional Lead (high school student), and 3) Regional Mentor (young professional). All are part of the TOMODACHI Generation. In November 2017, we are selecting two Regional Leaders (Regional Lead & Deputy Lead OR Co-Leaders) in each region to create activities and opportunities with support from their Regional Mentor by connecting with fellow alumni and the U.S. Embassy and Consulates to address the needs and challenges in their respective regions and communities. Help us energize and inspire members of the TOMODACHI Generation in your region by developing new events to bring opportunities to your regions and communities. If you are interested becoming a leader within your region, please apply! 1) Event Planning & Project Management:Each Regional Team will be responsible for planning two events within the year: 1) Welcome Event and 2) Theme Event. The Welcome Event will be held in May 2018 to will be the Annual Reunion within each region. The event will gather current and former alumni within the region but it will also welcome new alumni who have just moved into the region with the new school year to ensure that there is a TOMODACHI community in every region to welcome you. The Theme Eventwill be held between September and December 2018, and the theme and content will be developed by the Regional Leaders to address a need or challenge in their region. 2) Attend Orientation & Training Sessions: Regional Leaders and Deputies will be responsible for attending the March Orientation (March 9-11, 2018), the Regional Leader Training in June 2018, and the TOMODACHI Summit in November 2018. 3) Communicate with your Teammate & Regional Mentor: We recommend once a month in-person or skype/phone meetings, but leave it to the Regional Mentor and Leaders to determine what amount of time is best for their region and the events being planned. 4) Manage Funding:You will receive 100,000JPY as seed money to do three things: 1) Plan the Welcome Event, 2) Plan the Theme Event, and 3) Send alumni from your region to attend the TOMODACHI Summit. [Note: Regional Leader and Mentor transportation stipends will be provided separately.] Coordinate with your Regional Mentor to ensure that you are spending and allocating funds wisely throughout the year. 5) Keep Regional Alumni Contact Lists Updated: We have over 5,700 alumni spread out across Japan and the United States and need help keeping our alumni contact lists up to date, starting with each region. All Regional Leads and Deputies have the opportunity to extend their role for another year with a Recommendation Letter from the Regional Mentor submitted to the TOMODACHI Alumni Manager at the time of the New Leader Application Process. For more information on the Regional Framework: click here.